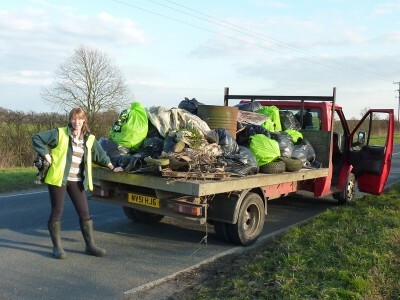 In January, 2011, a fly tip of tyres on Risby Road just outside Appleby was the last straw! 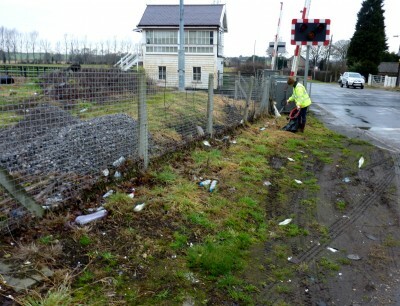 Why should our beautiful village be spoilt by the thoughtless actions of others? 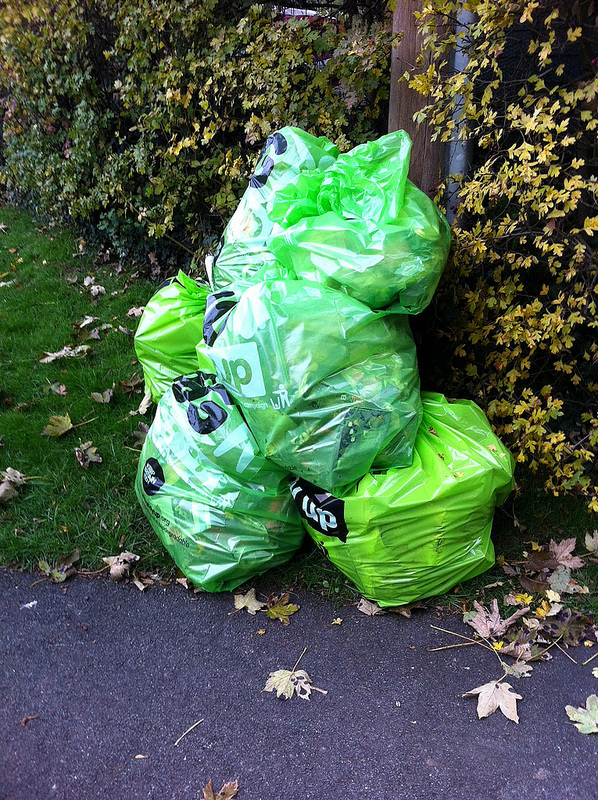 I decided that rather than grumble I would enlist the help of some like minded friends and do something about it. ‘Appleby Litter Pickers’ were established! It’s amazing just how satisfying the combination of exercise and achievement can be! The ‘Pickers’ can be seen regularly in the village and lanes in and around Appleby brandishing their litter picking sticks, bags and hoops. 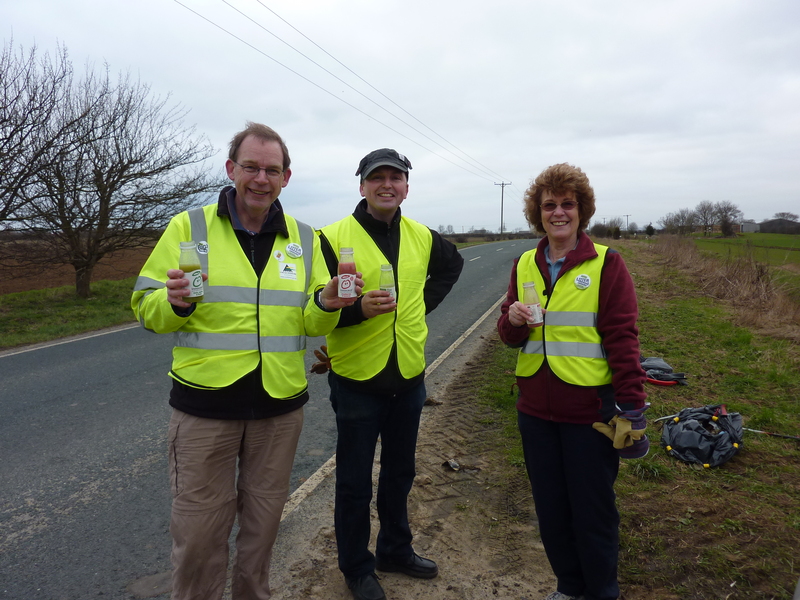 If you spot this dedicated bunch of volunteers, give them a cheery encouraging wave – it will be appreciated! The team has cleared litter and fly tip material from all the lanes surrounding Appleby as well as the main roads north to the A1077, south through to Broughton and Brigg. An incredible 2500 sacks have been collected so far – and counting! 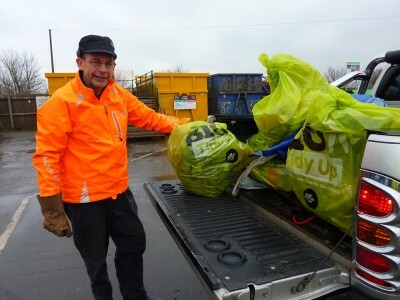 Amongst the eyesores removed there have been100’s of tyres, oil drums, fridges, televisions, old carpets, a three piece suit and yes, even a kitchen sink! 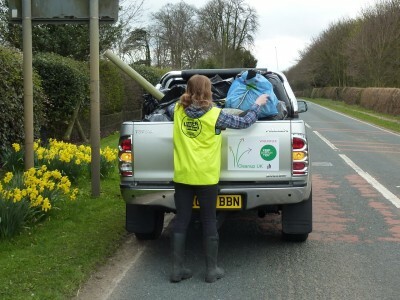 You don’t need a hi-vis jacket and a badge to be a volunteer. 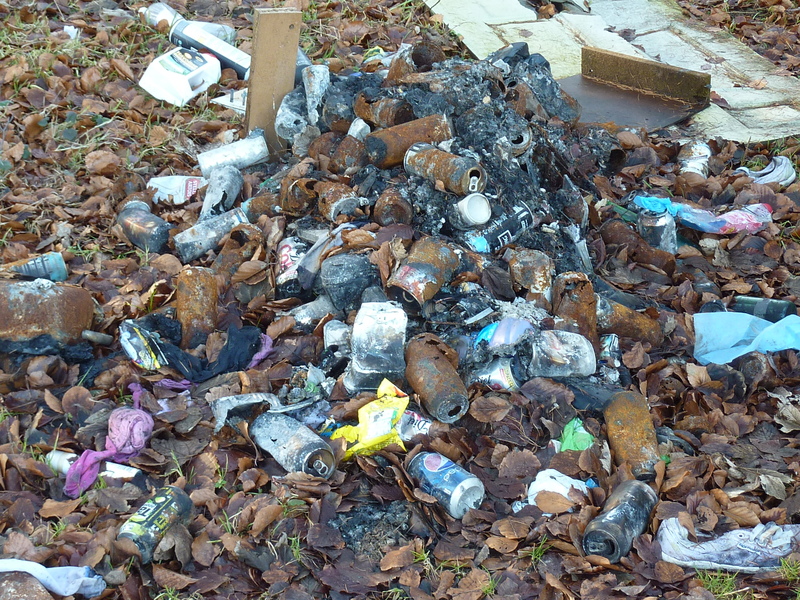 Everyone can help – just keep your immediate area tidy and, ideally, help prevent littering from occurring in the first place! The first time we cleared Risby Road, a 3.4 mile lane, 7 volunteers filled 233 sacks over a three day stint. 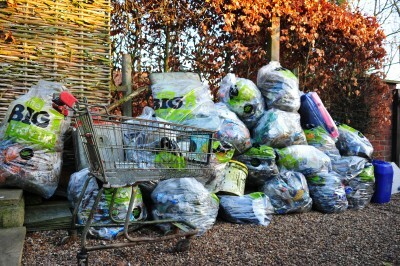 Now when we perform a monthly ‘walk-up’ on that same stretch we fill around a dozen sacks. A heavily littered spot on Risby Road prior to ‘picking’ – UGH!!! It is soon bagged up! 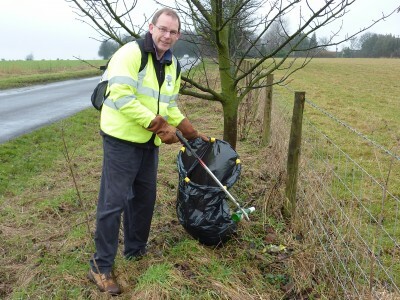 Having deep cleaned the area activities now concentrate on maintenance – keeping the roads around the village, Risby Road, Ermine Street north and south for around 2 miles, clear of litter by performing regular ‘litter-pick walk ups’. North Lincolnshire Council have provided invaluable support by collecting the accumulated fruits of our labours and promptly attending to larger fly tips when requested. 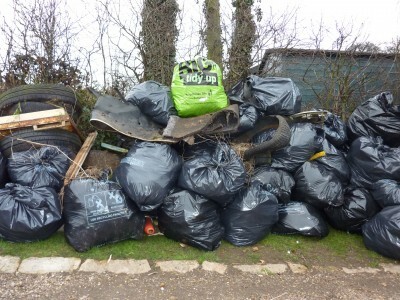 Our progress can be monitored on the Litter Action and The Big Tidy Up websites. 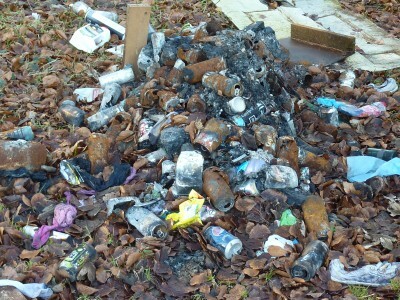 If you wish to report a fly tip please contact North Lincs Council via their online portal. Photos of the team in action may be found on the Appleby Group page on Flickr. 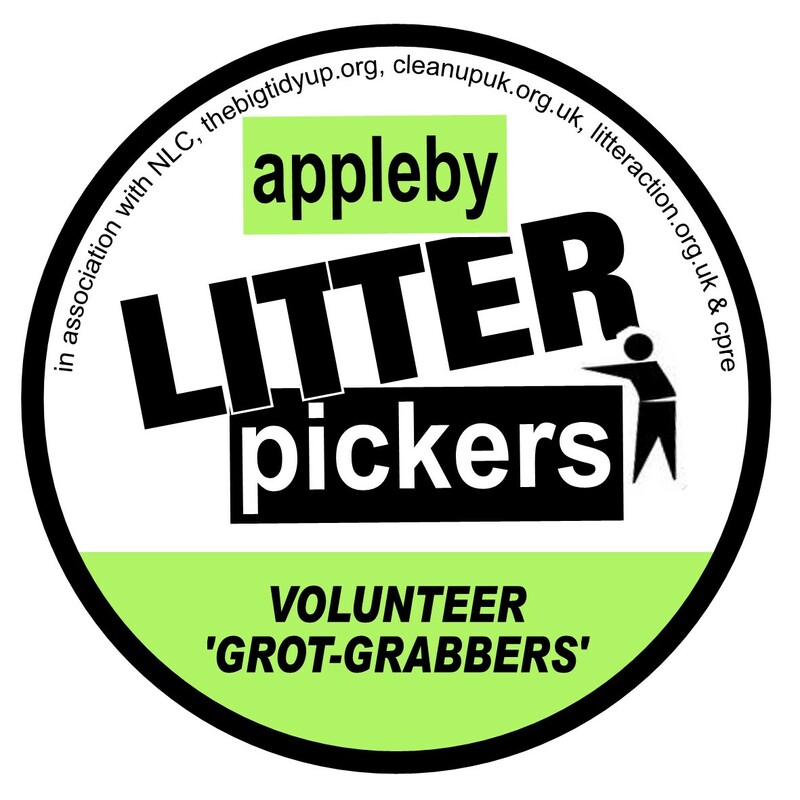 The Appleby Litter Pickers were back in action on November 17th 2013 following a break due to shoulder surgery this summer. 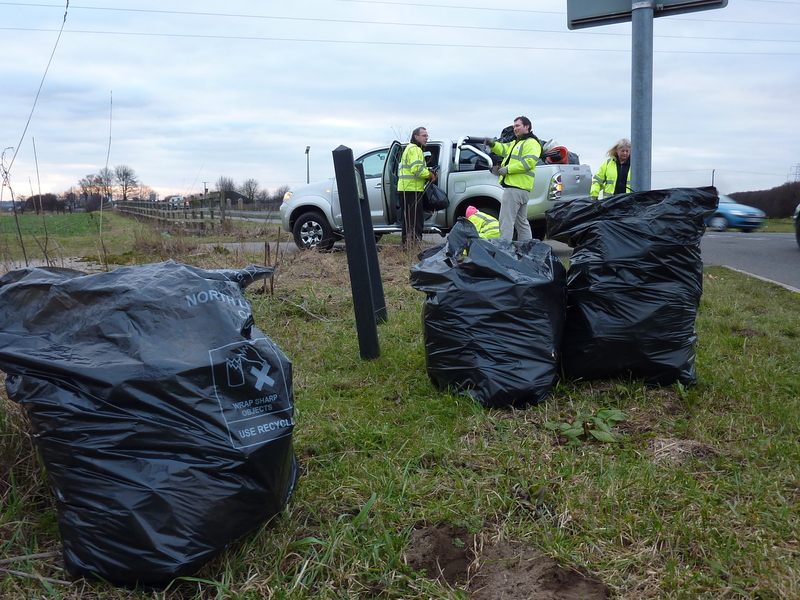 Seven sacks of litter were collected in just 1 hour! 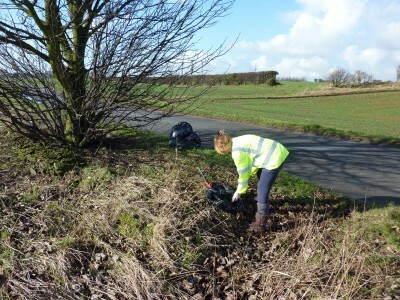 The intention is to keep the village itself as well as the lanes surrounding the village free of litter this winter. More extensive little picking will resume in spring 2014. As of January 2016 almost 3000 sacks of litter have been removed from the areas around Appleby and beyond!